The Chicken Schnitzel is a timeless Classic that deserves a spot on your menu. We have added a rich comeback sauce into the mix! Try out the free recipe below. Combine chicken, Knorr Chicken Seasoning Powder and buttermilk and marinate for 3 hours. Combine flour, Knorr Aromat Seasoning Powder and spices in a bowl. Combine all the sauce ingredients together. Drain chicken from buttermilk and place into flour mix, then into egg mix and back into flour. Serve and chips and comeback sauce. 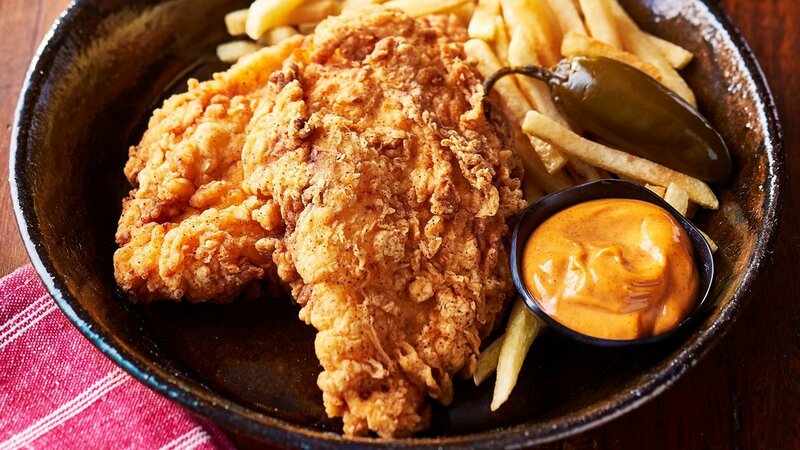 Add Smokey paprika to the batter for another level of flavour on this southern fried chicken recipe!